Our 2018 season of beginner obedience classes at Egremont in Cumbria is well under way with a bunch of eager puppies and older dogs and their people ready to start. Whether big or small, super smart or maybe hiding their brilliance we welcome all types of dogs to the foundation course. We always recommend coming to watch a class without your dog to make sure the environment is right for you. Sometimes, a class is not right for certain dogs and if this is the case our trainers can advise on a one to one style trainer. We would always welcome you back once you are ready. Some dogs who are not ready to engage with their owners during class may find it helpful to watch before they join in. Often you may find that your dog behaves differently once they are at training. They may be more distracted or seem like they have forgotten things which they know indoors. Try and remember that for a lot of dogs, a class is a strange and exciting place. It is important to set yourself up for success. 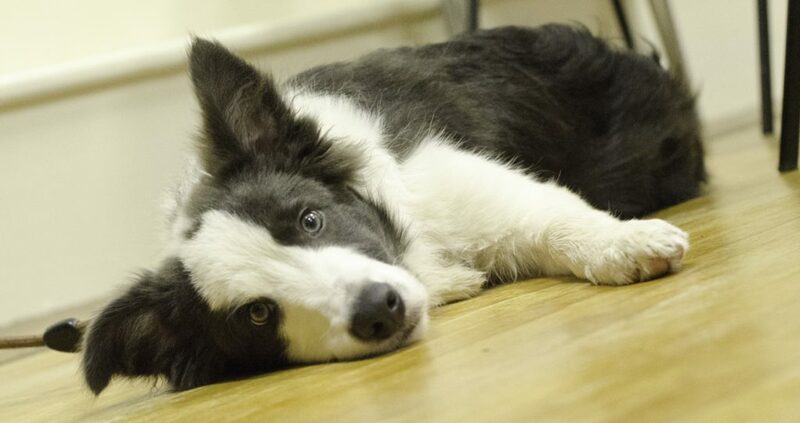 As a club we try to be flexible for how you want to work with your dog, but we do have some requirements; both as a Kennel Club registered club and ethically. 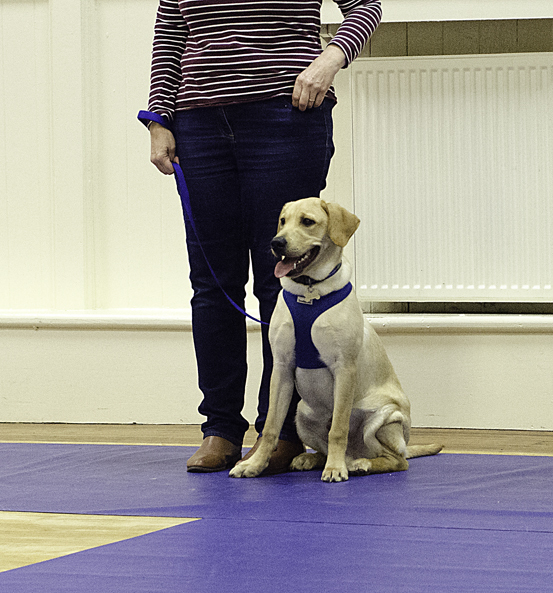 We train using positive methods, so you would have been asked to bring a reward for your dog. For most dogs this will involve treats. Be prepared with a variety of good treats, especially for the first week. Something tasty and smelly, which your dog doesn’t usually get at home. Perhaps sausage, chicken or left over roast beef! You want small, pea or less size pieces as you will be giving a lot of treats. If you are worried about weight gain, feed less dinner. Some dogs are not all that food motivated, in which case it is a good idea to find out what else rewards them, usually we recommend a quick play with a toy. It is also helpful to have your treats easily to hand in a pocket or bum bag as your success will depend a lot on your timing. Your dog is required to wear a flat collar with ID on as part of a legal requirement. But we are happy for your dog to train in a harness. It can work well to have a particular lead set for training as then your dog will start to make the connection with ‘training’ time, a bit like a school uniform. We do not allow dogs to train in choke chains or other corrective equipment such as spray collars etc. 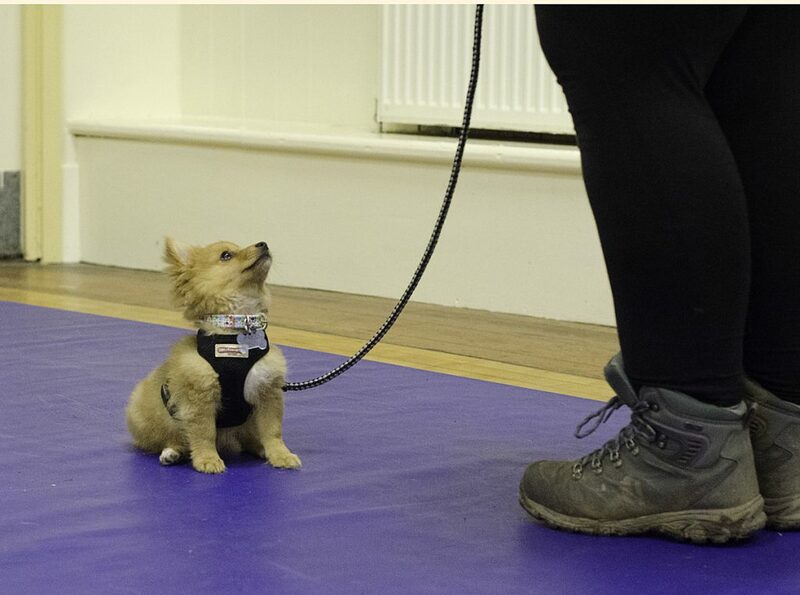 Any dog, no matter their size will benefit from training. We focus on things like getting and keeping your dogs attention, building good recalls, not pulling on the lead and starting safety measures such as control through a gate. During training, try and keep a positive outlook. The classes are non competitive and each dog is only expected to learn and work to their ability on any given week.